As you can see I have plenty of interests and lots to share. Within my website you will find information on what I am currently working on, some free patterns, health and fitness info, DIY tutorials as well as my own pattern store where I sell crochet and knitting patterns I have designed. So, take some time to look around. Click on the Blog tab for my current updates. If you are interested in Classical Stretch – Essentrics classes that I teach in my area please see the Essentrics Workout tab above. 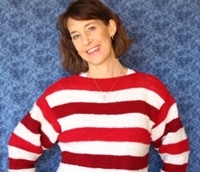 Indie Designer of Crochet, Knitting and Sewing Patterns. Health and Fitness Enthusiast. Essentrics Level 3 Certified Instructor.